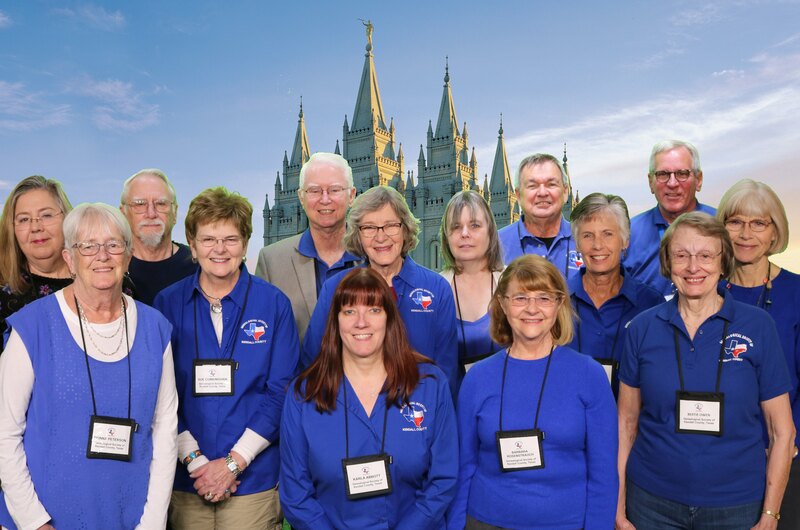 Each year the Genealogical Society of Kendall County sponsors a research trip to the Family History Library in Salt Lake City, Utah. Our next trip is scheduled from Sunday, May 5 to Sunday, May 12, 2019. In addition to a week of research time in the world's largest genealogical library, we also enjoy some education and socializing. We hope you will join use this year. Each person is responsible for making their travel arrangements. We have reserved a block of rooms at the Salt Lake Plaza Hotel. The hotel is located next door to the library eliminating the need for transportation while in Salt Lake. The hotel also operates a complimentary shuttle to and from the airport or you can use the light rail system that runs from the airport and stops in front of the hotel. Make your room reservation by calling the Salt Lake City Plaza Hotel. Their phone is 801-521-0130. Be sure to tell them you are with the Genealogical Society of Kendall County Texas group when you make your reservation to receive our group rate. Reservation must be guaranteed with a credit card or one night deposit. Your room reservation may be canceled 72 hours prior to the day of arrival with no penalty. Individuals make their own travel arrangements. Several airlines fly to Salt Lake including some non-stop flights. Please notify Gwen Adrian at 830-249-2085 or gwensadrian@aol.com when you make your hotel reservations and your flight/travel arrangements. If you have any questions or would like more information, please contact Gwen Adrian at the above phone or email. Hope to see you in Salt Lake!